Berlin’s big IFA trade show doesn’t officially open until tomorrow, but the announcements have already started pouring out of the show that’s come to be known as the “CES of Europe.” The event’s late-August/early-September timing has been a big part of its increasing relevance in recent years, as companies use the platform to debut wares in time for the holidays. As such, the show has grown into a pretty good bellwether for holiday tech trends. Once again, smart assistants are the thing this year. Amazon Alexa and (to a lesser extent) Google Assistant are all over the show’s product announcements. But where the addition of skills for those smart assistants has been the big news at past shows, companies have begun diving deeper, adding microphone arrays for full functionality. The devices now essentially double as a third-party Echo or Google Home. Not surprisingly, speakers are leading the pack. It’s the most logical form factor for the functionality — after all, the Echo and Home are speakers at their core. But if you’re a third-party building one of these assistants into your product, you’re going to have to do a better job than Amazon or Google did — especially with Apple’s premium HomePod over the horizon. The space is still pretty wide open, a fact that a number of companies are taking advantage of this week at IFA. The LF-S50G arrived earlier today amid the deluge of Sony product announcements, carrying the company’s utter disinterest in memorable naming conventions. The speaker is one of the first third-party products to sport Google Assistant, and honestly, it looks pretty solid. It does 360-degree sound and has a digital clock face built into its front. Oh, and it also looks quite a bit like the HomePod. I haven’t had a chance to play with it in person, but Sony’s got a good track record with audio, so this is one to look out for when it hits in December for $299. Harman, is hedging its bets here, launching speakers for each assistant under its different umbrella brands. 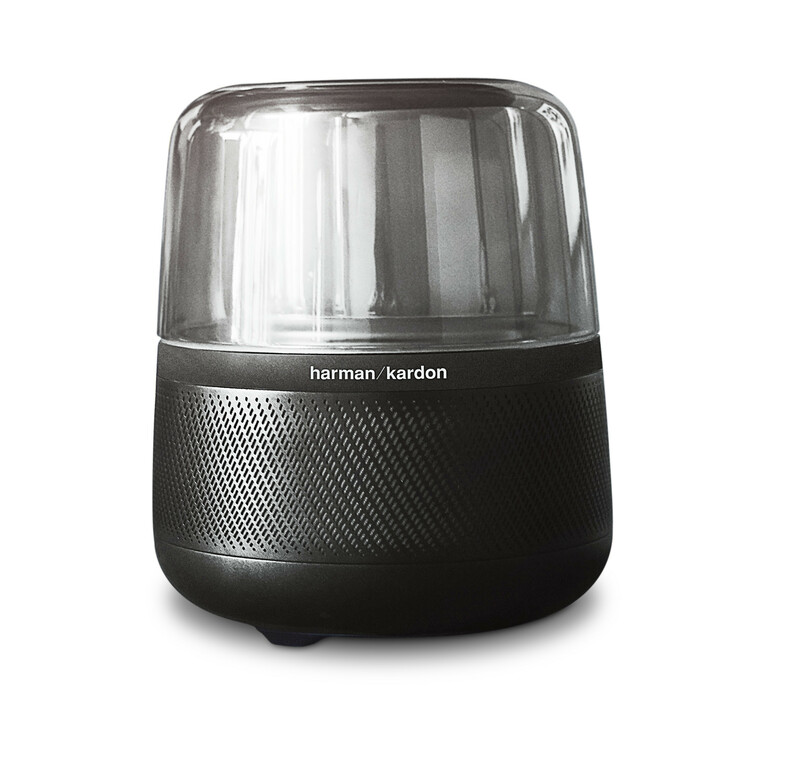 There’s the Harman Kardon Allure, which sports Alexa and looks a bit like a coffee maker. That one runs $249 and features ambient lighting that glows in time with the music. 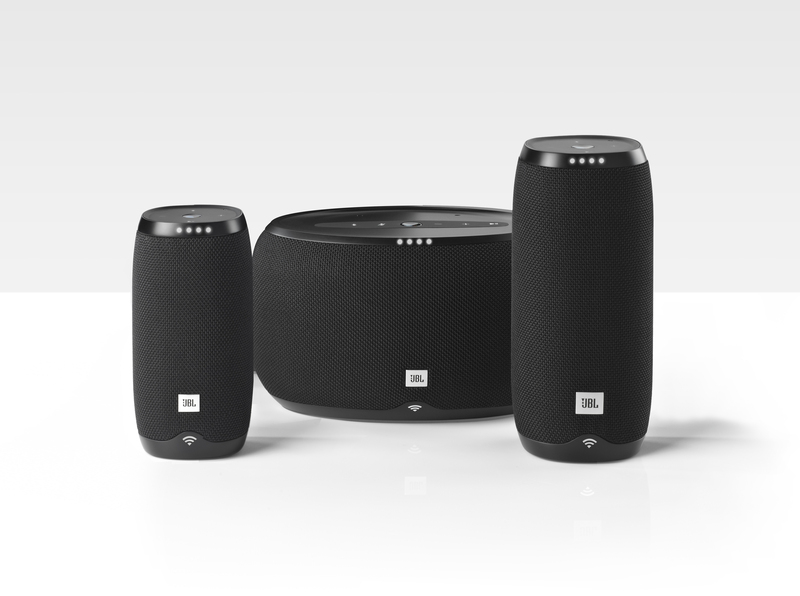 I’m a bit more excited about the company’s new JBL Link line — not because I’m partial to Google Assistant at the moment, but I’ve been a fan of the company’s recent offerings. The JBL Charge III is a great little portable bluetooth speaker, and it looks like the line has adopted a similar form factor. There’s also a broad range of different SKUs here, going up to the $249 Link 300. Those are due out in the fall. And then, of course, there are products like the Libratone, which are adding the functionality to existing products. Of course, this is all great news for Amazon and Google. As we’ve discussed plenty of times before, opening up APIs means getting their assistants on a lot more products without doing any of the heavy lifting. It also gives them both another key leg up on Apple’s bids to make Siri part of the connected home tissue. It will likely be a while before Apple opens that functionality in the same way, with HomePod still on the horizon. Even after the product comes to market, the company may well still balk at the idea — after all, Apple places a lot of value in having hardware and software developed in house. For Amazon, on the other hand, building hardware is more often than not a means to an end for proliferating its growing ecosystem of commerce and software. From a pricing perceptive, Apple’s got some stiff competition here, with most of the aforementioned products coming in at around $100 less than the HomePod. But then, Apple’s clearly been investing a lot in getting its product just right — and pricing never really was much of a concern for the company.